Sandy and Dennys Murry come into their parents’ lab from the winter cold wishing for warmer conditions. The next thing they know, they have been whisked away to a strange place where the sun is hotter than hot, the people smaller than average, and the wildlife consists of creatures like mammoths, manticores, and unicorns. Though each of the boys temporarily succumbs to heatstroke, when they are well, they each realize they have landed in Biblical times just before the story of Noah’s ark takes place. Though they have been cautioned by seraphim not to meddle too much with history, they can’t help but love some of the people they meet and wish to save them from their inevitable fate in the great flood. I have such a hard time settling down to read the books in the Time Quintet. I always breeze through the Austin books, and even the ones about Polly O’Keefe, but the stories in this particular series are always just outside of what my literal mind likes to explore. It took me especially long to get around to this book because I disliked A Swiftly Tilting Planet so much, and I was concerned that this next book would be equally as disappointing. As it turns out, I wasn’t completely off the mark, but Many Waters was more enjoyable than I expected. 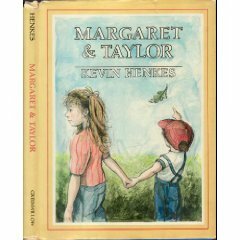 I also like that this book is about the twins, and that it focuses on them as individuals, rather than as part of their larger family. Though this isn’t strictly a coming of age tale, I like the way the two boys are changed by their experiences in the past, and I like that they, who are normally so literal-minded, are able to accept the strange events they witness. It made it a little easier for me to swallow some of the fantastical elements - probably as easy as it will ever be for me to do so. It was also sort of a relief to be free of the “specialness” of Meg and Charles Wallace that has so dominated the other books. Some sections of this story are very well-written, but others are poorly put together. Sentences like this one, for example, could benefit from better editing: “By its light, which was brighter than the moonlight, which had moved beyond the roof hole, Sandy could see that the girl, who wore only a loincloth, like Japheth and Grandfather Lamech, was gently curved, with small rosy breasts.” I couldn’t help but feel like I was reading an entry in the Bulwer-Lytton Fiction Contest. This might seem nit-picky, but there were so many moments where I felt like L’Engle was over-writing, trying to say in twenty words what she might have said in ten, and I find that annoying and distracting. If I were ranking the Murry, O’Keefe, and Austin books in order of preference, Many Waters would fall near the bottom of the list, but not at the very end. I can respect the book as a thoughtful meditation on a Biblical story. I just wish I understood the reasoning for all the fantastical elements, as sometimes it seems like L’Engle includes these things just because they sound cool. I am also left wondering why the manticore and unicorn didn’t make it onto the ark - I was sure L’Engle would at least explain that much, but she never did! Just two more books to go before my L’Engle reading exercise is finished: An Acceptable Time and Troubling a Star. In this conclusion to the Blossoms series, both Mud and Mad Mary are in a lot of trouble. Mud has been accused of eating the class hamster that Junior brought home from school, resulting in a full criminal trial. More seriously, Mad Mary has gone missing, leaving her cane and the bag she uses to carry animal carcasses behind on a trail in the woods, with no indication as to where she has gone. While Vern and Michael tease Junior, and Maggie and Ralphie sort out their romantic feelings, Vicky Blossom worries about what to wear to impress her own newest suitor, and Pap investigates Mary’s disappearance in the hopes of helping her out. In some ways, this is the lightest of the five Blossom books. Even though Mad Mary is missing for much of the story, none of the Blossoms themselves are in true danger, and the events that take place surrounding the apparent loss of Junior’s hamster are more comical than dire, even if Junior takes them seriously. The mock trial the family stages for Mud involves everyone, including most of the previous books’ supporting characters, and though the trial is mainly a silly thing, it does highlight the varied relationships between the different characters and their feelings for each other. In Kirkus’s 1991 review of this book, the reviewer noted that “there's no reason to single out a best Blossom book” and that turns out to be absolutely true. Each book holds its own as a strong single entity, but also works nicely as part of the tapestry of the larger series. The characters remain consistently loveable and well-developed throughout each of the stories, and each one receives the happy ending he or she deserves. This last book isn’t the most emotional of the series - I think A Blossom Promise, where Pap nearly dies, probably wins that title - but there is still something so satisfying about the way the family and their friends interact and come together in each other’s hours of great need. This book- and indeed, this entire series - is not to be missed. Annabelle Bernadette Clementine Dodd (“Belle”) has busy parents who are hardly ever home, but she is lucky to be good friends with the family’s housekeeper, Bea, who is always there for her, especially in a moment of great danger. The pictures tell us what the text does not - that Belle is a Caucasian child, and Bea is an African-American woman. They also give us a wonderful sense of Bea’s personality. Her facial expressions reveal her fierce love for Belle, her amusement when Belle makes a mess, her tiredness at the end of a long day, and her heartbreaking sadness at the thought of losing Belle, as she nearly does at the end of the story. The final illustration, accompanied by a short verse, also tells us a lot about Belle as an adult, as we learn that she is looking back on her memory of the important day Bea saved her life. There is a lot to take away from this book, and I think the richness of the language and the beauty of the story would be best understood and appreciated by kids who can discuss those aspects a little bit. What Bea does for Belle - and the fact that it remains with Belle until adulthood - is a great way to open up a conversation about heroes and true friendship, and I think the emotional ending will resonate with kids old enough to appreciate the subtlety of the book’s final pages. 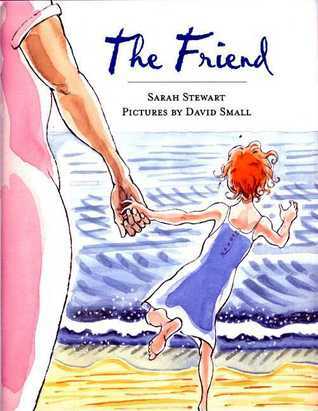 Readers who have enjoyed other Sarah Stewart / David Small collaborations will find similar themes in this one. It’s also a nice read-alike for some of Patricia Polacco’s titles, where she also looks back on her childhood and remembers the adults who shaped her experiences. Harriet Morton, the daughter of a Cambridge professor, leads a very sheltered life. Her father and aunt Louisa both want her to be a dignified young woman and someday marry a stuffy entomologist named Edward Finch-Dutton. Harriet wants something else- to dance. When she is offered a spot in a dance company traveling to the Amazon, her family forbids her to go, but unable to stand her oppressive life any longer, she defies them, sneaking off to become a ballerina. In the ballet company, Harriet meets girls with much more life experience than she has, but she manages to hold her own, becoming friends with her fellow dancers... and falling in love with Rom Verney, the owner of the opera house where the company performs. Everything would be perfect for Harriet, if only her father weren’t coming to find her. Though it took me longer to get into this book, I wound up liking it almost as much as The Dragonfly Pool. 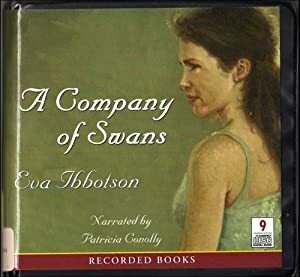 Eva Ibbotson has such a way with words, and the audiobook narrator, Patricia Connely, has the perfect voice for bringing her stories to life. What surprised me was the difference in reading level and subject matter between the two books. The Dragonfly Pool is decidely a middle grade novel focused on the concerns of children around age 12. 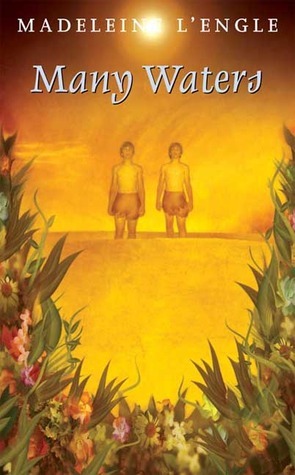 A Company of Swans is a much more mature novel, aimed at older teens, and even adults. There is quite a bit of sexual content, as well as references to young girls jumping out of cakes and dancing for rooms full of men. Readers - and especially parents - who borrow this book expecting an innocent story like that in The Dragonfly Pool - might be surprised to discover this jarring change of pace. Especially upsetting might be the scenes late in the book where Harriet decides to let Rom “ruin” her. This is a concept with which adult romance readers might be familiar, but for kids and even teens it might be a bit more than they bargained for. Despite its mature content, however, this is a wonderful book. It immerses the reader completely in another time and place, bringing 1912 South America to life through beautifully described passages and well-developed characters. Any girl who has ever aspired to be a dancer will love all the references to various ballets, and will live vicariously through Harriet’s dream role as a member of the ballet company. Girls who love romances will also enjoy all the yearning and heartache that occurs between Harriet and Rom before the inevitable happy ending finally brings them together. Readers will also love the suspense created by the various roadblocks to the couple’s happiness, from a misunderstanding regarding Rom’s late brother, to the sudden arrival of Harriet’s intended husband in the city where she is staying. For teens who are beginning to grow out of YA novels, many of which seem to be aimed at the middle school set, A Company of Swans is a perfect first foray into the world of adult fiction. It is certainly better written than many of the mass market historical romances being published these days, and even the most intimate moments between the main characters are handled subtly and tastefully. I will probably never love an Eva Ibbotson novel as much as I loved The Dragonfly Pool, but this book was a close second. For a teen ready for a mature romance novel, it is the best book I could recommend. Thirteen-year-old cousins Eddie, Charlie, and Gracie practically have to beg their parents, but they are finally allowed to fly on their own to San Francisco to stay with their Aunt Molly. What is supposed to be a routine flight quickly turns suspicious, however, when the plane makes an unexpected landing, an old lady traveling with the kids is attacked, and two sinister characters keep following them around. Before they can enjoy their visit with their aunt, the three kids might just have to help solve a major crime! Completely by chance, I saw the cover of this book on Novelist K-8 one day while I was searching for something else. Though I never would have thought of the book in a hundred years on my own, seeing the cover made me instantly snap to attention. I knew that I had read this book - and loved it - when I was a kid. I immediately logged into the library catalog and put it on hold. When the book arrived, I read it in one sitting. As she does in most of her books, Willo Davis Roberts puts the three main characters in What Could Go Wrong? in unlikely but plausible danger. Though I found much of the story silly and predictable as an adult, I can remember being surprised by each new development when I read it back when I was in the target age group. Whether the events of the story seem believable or not is irrelevant, though, because the true appeal of the book is the idea that three kids could fight off criminals on their own, without any help from their parents or other adults in their lives. I think most kids like to imagine what they would do in a dangerous situation. This book takes those imaginings to their naturally exciting conclusion. Re-reading this book was a pleasant experience, and it reminded me a lot of Kate Messner’s Capture the Flag, where a group of middle school-aged kids also solve a major crime in an airport. Though much of Roberts’s writing is outdated by today’s standards (this book uses the word “Oriental” to describe people on more than one occasion), the subject matter is still relevant and interesting to today’s kids. I don’t think that many kids will pick up this book, given its decidedly retro cover, but mystery readers desperate for a great crime story could probably be persuaded with a compelling booktalk. As the fourth Blossom adventure begins, the town of Alderson has been flooded by recent heavy rainstorms. Junior is excited that the sun is finally shining because Pap has promised to bring him to Mad Mary’s cave for an overnight visit. While he waits impatiently at home with his dog, Dump, Pap is off enjoying the water with his dog, Mud, and Vern and his best friend Michael are setting sail on a dangerous homemade raft. In the meantime, Maggie and her mother are riding in the rodeo, and Maggie is struggling to come to grips with her mother’s interest in a new man. When Vern gets himself into trouble, and Pap collapses running to his rescue, Junior is the only one available to save the day. This book is probably the most action-oriented of the series. In the first three books, there are elements of danger and excitement, but in this story, there are real issues of life and death. Byars’s writing, though concise and relatively quick and easy to read, is filled with beautiful imagery. In my mind, the story passes by as a series of moments, each of which I can picture as clearly as if it were playing on a movie screen. I can see the creek swelling, the boys desperately paddling their raft, and Pap trying to swing his lasso and instead falling to the ground. I can picture the rodeo scenes, and empathize completely with Maggie’s excitement as she performs in her first true trick ride. I can even imagine Dump digging for frogs under the porch of the house, and Mud, crumpled on his side as he worries about the fate of his master. Byars is a wonderful storyteller, and the events of her books, and the emotions of her characters, have a tendency to stick with me indefinitely. 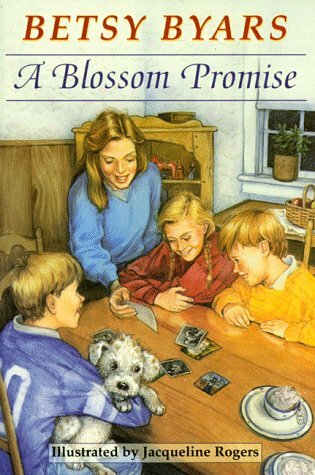 At the time of its publication, A Blossom Promise was the final book of the Blossoms series, and I think it provided a fitting conclusion for each character that would have left me perfectly satisfied. 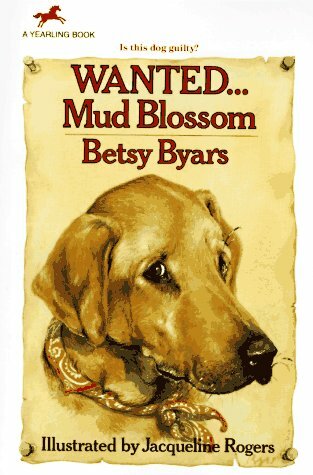 Several years after this book was published, however, Betsy Byars wrote a fifth book, Wanted… Mud Blossom, published in 1991, turning the series into a quintet. This squat book from the creators of A Day at the Farm is a hodgepodge of captioned images of childhood events, as experienced by three siblings. 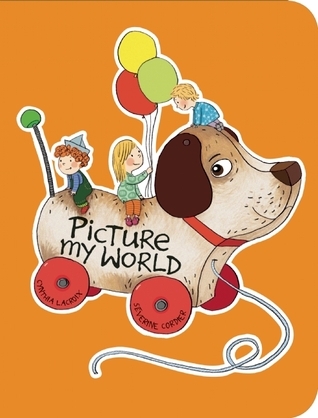 The bold lines and bright colors of the pictures make this the kind of book toddlers will pick right up off a shelf and bring to the nearest grown-up. Though there is a line of dialogue to accompany nearly every illustration, the pictures tell stories all their own. I love the two-page spread where the kids make pictures with their breath on the windowpane on a cold day. I love the floor strewn with toys and medicine as one of the kids sleeps on the couch on a sick day. I even love the sad (but tasteful) image of the little girl burying a dead bird and wondering why it had to die. Each image evokes such a strong sense of nostalgia for me that I can’t imagine they wouldn’t speak to children about their own personal experiences. 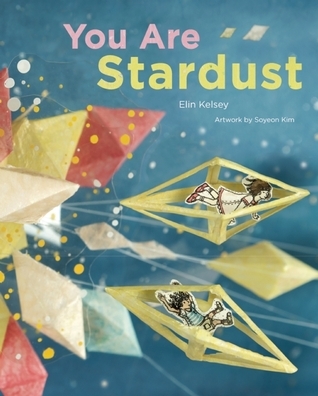 Adults sharing this book with kids at home should be prepared for lots of questions, and lots of conversation in general, and they probably shouldn’t expect to get through the book in one sitting. It’s the perfect kind of book for promoting all kinds of early literacy skills, but it might not be the quickest bedtime story. Save this one for a rainy day or vacation, when there is lots of time to pore over every detail. Picture My World is similar to Seasons and People by Blexbolex. Some of the pictures also reminded me of Peanuts comics, especially the one where the youngest girl in the family stands on a stage, and musical notes come tumbling out of her mouth.